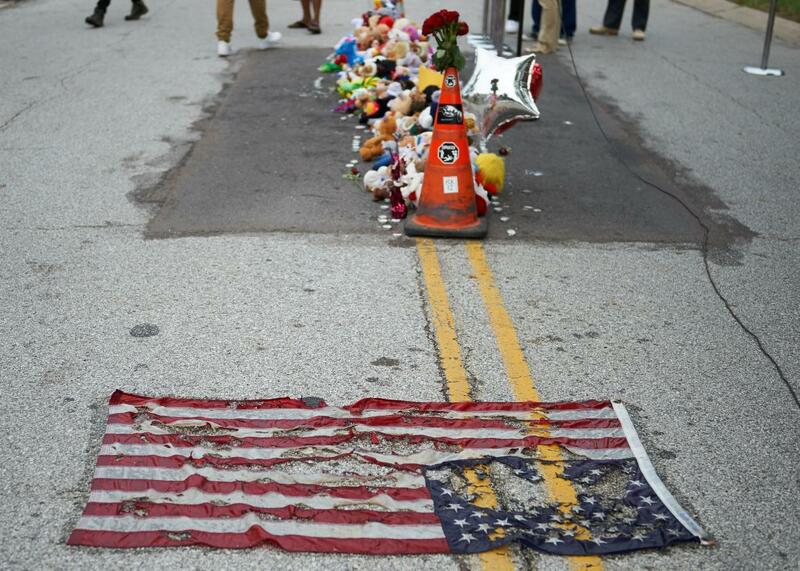 Shots fired in Ferguson near march to mark anniversary of Michael Brown’s death. A peaceful gathering was marred by gunfire in Ferguson on Saturday as hundreds of people got together to mark the one-year anniversary since Michael Brown was shot. There are few details on the shooting but the St. Louis Post Dispatch says it happened “generally along the Michael Brown anniversary march route from Canfield Drive to the Greater St. Mark Family Church.” A witness told police that somewhere between seven to nine shots were fired from a passing car and authorities said it appeared to be unrelated to the remembrance services. Earlier, hundreds of people observed four-and-a-half minutes of silence at 12:02 p.m., the time when Brown was killed. The length was meant to symbolize the four-and-a-half hours that Brown’s body lay in the middle of the street after he was shot to death. Two doves were also released. Brown’s father, Michael Brown Sr., was present but said few words, only thanking those who took part in the ceremony for keeping the memory of his son alive. 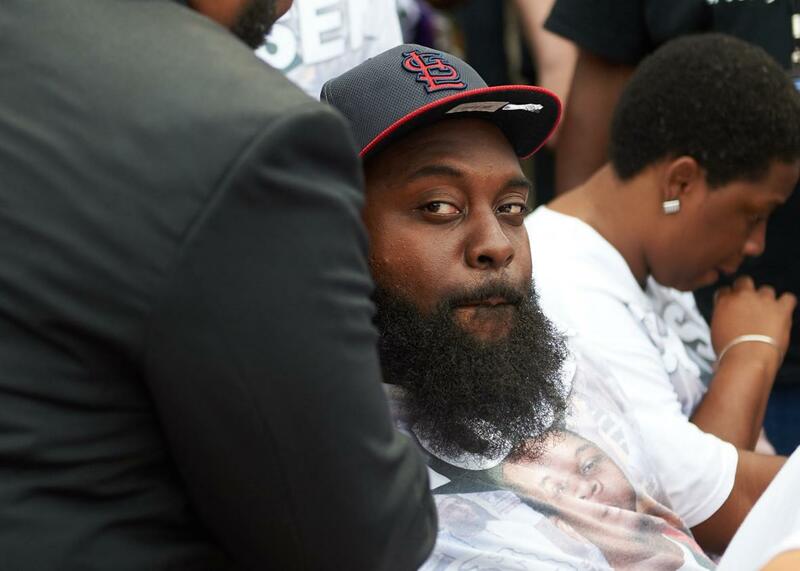 Michael Brown Sr., father of slain 18-year-old Michael Brown Jr. attends a memorial service for his son on August 9, 2015 at the Canfield Apartments in Ferguson, Missouri. Erica Snipes, the daughter of Eric Garner, who was also killed by police, was present and said that outrage over the deaths needs to turn into pressure on elected officials. “This year has just been so hard—no accountability, no justice—police are still killing us,” Snipes said, according to USA Today. Brown’s death sparked a year of increased awareness about the way police treat members of the black community, but lawmakers have so far done little to show they recognize there is a problem, the head of the NAACP said. “There has been a seismic shift in American attitude but only a glacial shift in legislative action,” Cornell William Brooks said on CBS’ Face the Nation. 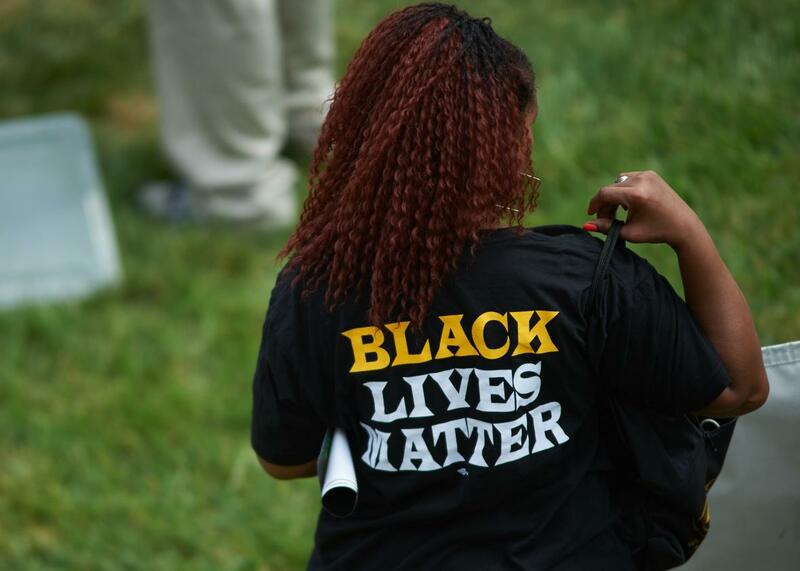 A woman attends a memorial service for slain 18 year-old Michael Brown Jr. on August 9, 2015 at the Canfield Apartments in Ferguson, Missouri.